There's a new trend that might rescue your old devices (mostly Android phones, tablets) and put them to good use. It didn't take much time before Atticus White put his project up and running on React Native for Android. Here’s a perfect weekend hack. Grab that old clunky Kindle Fire or any other tablet you have kicking around the dust and put it to good use (weird that we can call these things old now eh?). We’re going to make a Smart Mirror. I chose to use React Native for this, but you can do this with any stack that will run on a tablet (such as a webpage). 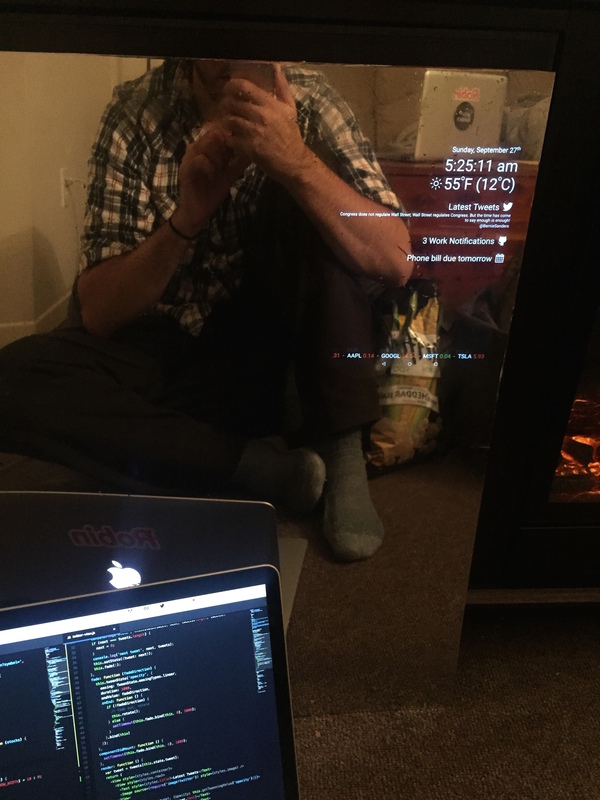 You can find this project on http://github.com/ajwhite/MagicMirror. There’s not a whole lot to this project, it’s a perfect DIY for a developer who wants to make some cool things for the house. The Internet-of-Things is a growing trend and, we the developers, are the privileged ones who get to make them ourselves and command them do exactly what we want them to do. I never thought I’d be telling a mirror what to do unless I was arguing with myself in front of one.